Ah, Paris! Poets rhapsodize about it, painters have immortalized it, and millions of travelers flock to it every year. The sight of the soaring silhouette of the Eiffel Tower never ceases to thrill, and the gothic splendor of Notre Dame never fails to inspire. This superb book takes readers on a memorable tour above Paris, paying homage to the rich cultural legacy of one of the world's most fascinating cities. 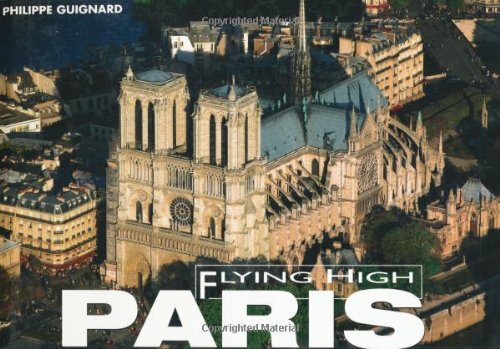 More than 500 vibrant photographs take readers on a whirlwind tour above the Latin Quarter, the grand boulevards, and along the banks of the Seine, paying particular attention to the architecture of Paris. Readers are given an insider's tour of off-the-beaten path delights that are distinctly Parisian: a glimpse of a church spire over the dormered rooftops of the city, a bustling outdoor cafe, a quiet park. These panoramic photographs provide armchair travelers with a unique opportunity to savor the unique characteristics of an entire arrondissement at a single glance. Philippe Guignard is a professional photographer and graphic designer who specializes in aerial photography.